Most web analytics solutions capture visitors landing on a web page and monitor their movement from page to page within a site. This is great for collecting quantitative informatiion about your website traffic with page views, number of visitors and time on page being th ekey metrics. However, this traditional approach to web analytics does not tell you much about what visitors do once inside these pages. 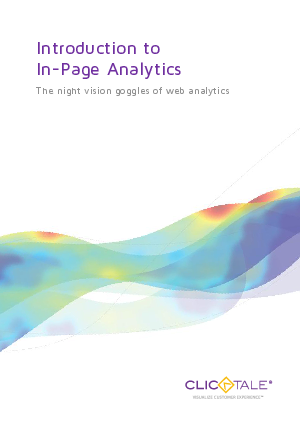 That's where In-Page analytics comes in. It focuses on the customer experience inside these pages, recording everything from mouse moves and clicks to actual keystrokes. This gives a much more qualitative, almost intimate, view into what your visitors are focusing on and interacting with inside the pages themselves.